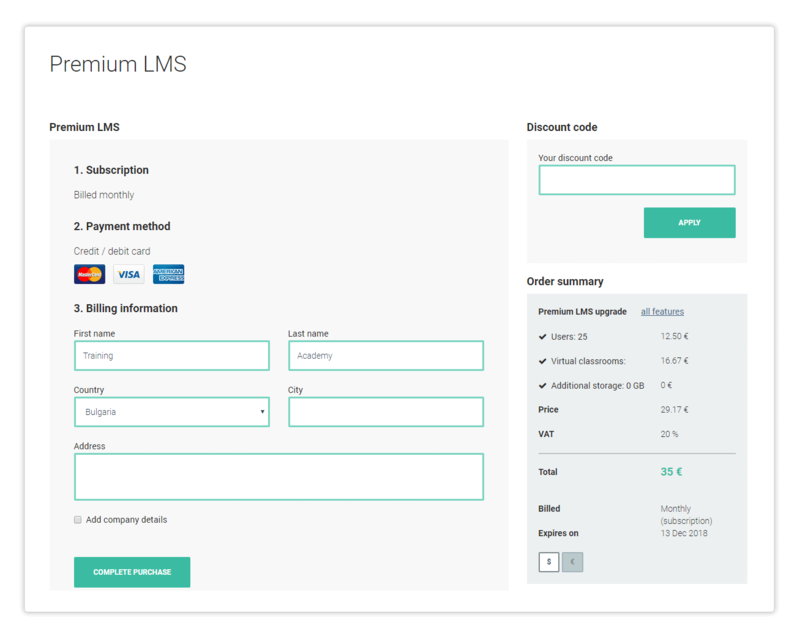 LMS Upgrade to Premium subscription plan is done via the Upgrade option on your Dashboard. The upgrade allows you to create up to 25 user accounts, create unlimited number of courses and lessons and custom brand your academy. 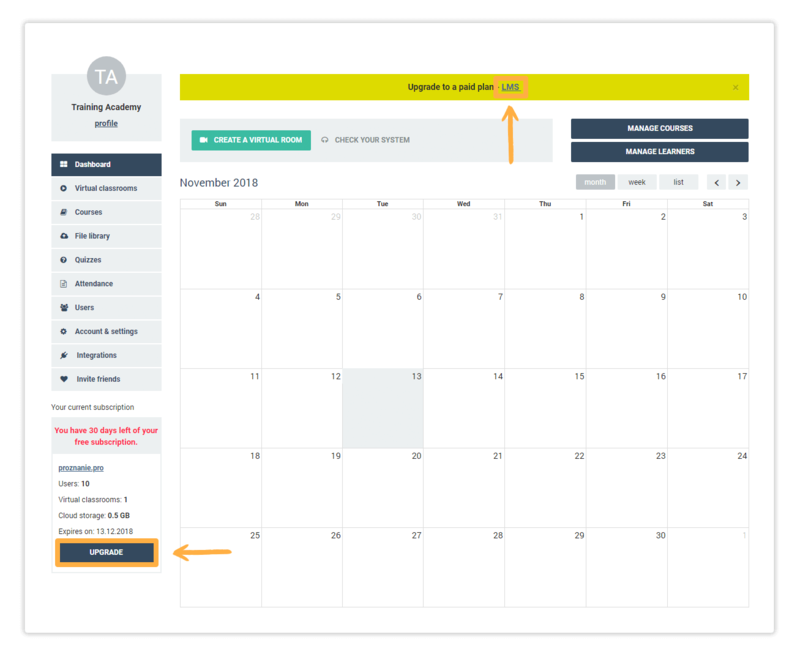 In order to upgrade your Free Learning Management System to Premium, log in to your account and click on the Upgrade button on your account Dashboard. Once you click on Upgrade you will be redirected to the following page, where you will be prompted to enter your billing information. Additionally, you will be able to see details about your purchase and the current subscription plan. To proceed further click on Complete Purchase. You will get to the next step, where you will need to add your details and select your preferred payment method (Credit and Debit cards, such as Visa, Mastercard, etc.). Once done click on Continue to confirm and finish your purchase. Finally you will get to the success page. 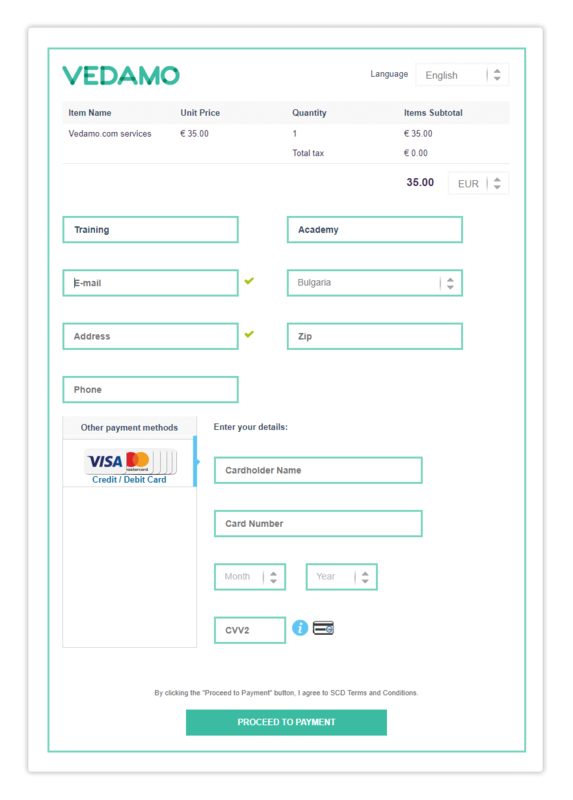 You have the option of downloading your invoice directly. Alternatively you can go back to your Dashboard. You can access at any point by going to the Billing & Upgrade menu and choosing the Invoices tab.